How do I add sellers to my event? 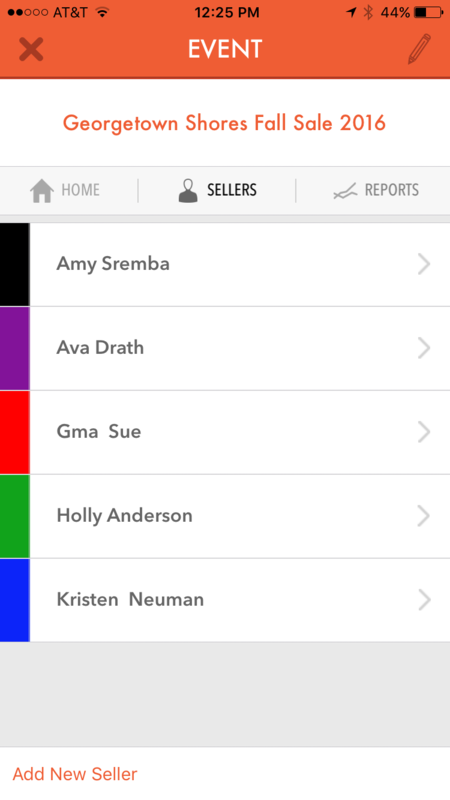 To add sellers touch “Sellers” on the navigation bar. Then touch the “Add a New Seller” link at the bottom left. You can also add new sellers on the Starter Cash or Checkout screens by touching the “Add a New Seller” link at the bottom left. You can edit a seller by selecting them here. You can also edit a seller on Starter Cash and Checkout Choose Seller pages. You simply swipe to the left and you will see an edit option appear. You can make changes and stay in the flow.